SMi Group will gather industry experts and government bodies to share their insights at the 20th annual conference on Superbugs and Superdrugs taking place on 19-20 March 2018 in London, UK. SMi Group recently had the opportunity to sit down with three of the event’s featured speakers to discuss some of the challenges they face in the industry and their strategies for overcoming them. Excerpts are noted below. The full interviews are available in the Superbugs & Superdrugs download center. The fight against multi-resistant organisms requires the implementation of several measures coordinated at a global level. The rational use of antibiotics is an important challenge that we have to improve. Although, the biggest challenge is the discovery of new antibacterial agents with a novel mechanism of action, that allows us to increase the therapeutic arsenal against organisms that are practically lacking therapeutic alternatives. To discover new antibiotics, we have to be visionaries, we have to end with the unproductive nightmare of the last 50 years, for which we have to define new TPPs and improve the productivity of discovery processes, applying disruptive strategies to reduce the failure rate, and therefore the high technical risk associated with the area of infectious diseases. An accurate model allows us to identify nodes within the network which when inhibited, would weaken the outer membrane. 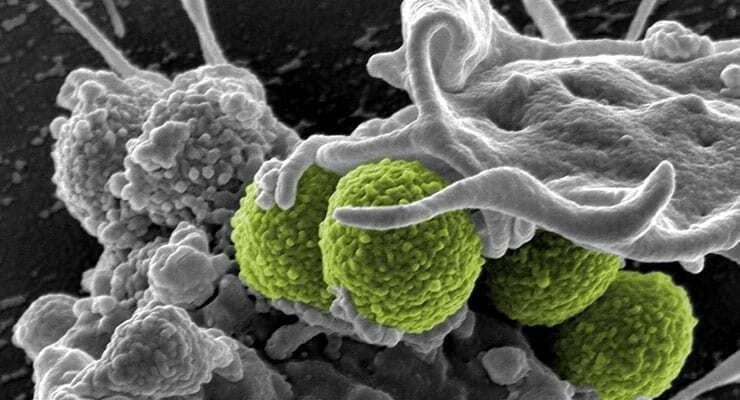 The more permeable membrane would now allow compounds such as rifampin, erythromycin and kanamycin into the cell. This will impact AMR in a number of ways, firstly, it would allow these well-established drugs to be used for the treatment of gram negatives. Secondly, because of the weakened membrane the intracellular concentration of drug would be much higher than normal, minimising the risk of low level resistance. Finally, the active agents could be given a lower dose which would reduce any associated toxicities. Our immune system is protecting us every second of the day from attack by infectious micro-organisms. It is immensely powerful, far more so than any antibiotic. So, I believe that immune modulation will be far more powerful in beating antibiotic resistance that just inventing more antibiotics or using combinations of antibiotics. Yet there is little research in this area. Bacteria invade by usurping our immune system. Research in the last few years has identified the mechanisms bacteria use to achieve this, but that knowledge has not been picked up by the antibiotic / microbiology community. I want to begin the process of getting it into the mainstream via this conference. Global Biodefense is an official media partner of Superbugs and Superdrugs.